Looking for a safe casino site to play slots, blackjack, roulette, poker and other games from Serbia? Read on to find out more about Serbia’s online gambling laws and where players can play safely for real money on the Internet. The history of legalised gambling in Serbia dates back only to 1964, when the Yugoslavian government decided to introduce land based casinos to the country in a bid to attract tourists and boost the economy. All land based casinos are owned by the state, with gaming licenses issued and overseen by the Games of Chance Administration (GCA) which is part of the Serbian Ministry of Finance and Economy. The casino industry has not had the same level of success as it has in neighbouring European countries, which is due to the country’s troubled history and the fact that a majority of the casinos are located in the capital city of Belgrade, making them inaccessible to many citizens. Serbian residents are also legally allowed to participate in the national lottery, Norodna Lutrija, and in sports betting, which is incredibly popular around the country, especially when it comes to football and basketball. Is online gambling legal in Serbia? Given that casino gambling in Serbia isn’t hugely popular, the government has been slow to introduce casino regulations, both offline and online. In 2011, the Serbian government decided to take action to regulate the online gambling industry, introducing the New Act on Games of Chance. Amongst other things, this new legislation dismantled the monopoly the state-run lottery held over online gambling services and introduced the option for international operators to apply for an online gambling license in Serbia. It also included a legislative clause that allowed the government to block unlicensed offshore casino sites. Despite the introduction of the 2011 law, no foreign gambling site has yet been issued with an online gaming license from Serbia. Many Serbian nationals continue to utilise offshore gambling platforms with no punishments, as the laws do not specify any level of prosecution. In short, online gambling is illegal in Serbia unless you are playing at a casino which has a server located in Serbia with a Serbian issued casino license. However, as these laws are very loosely enforced and there are no punishments to players, many individuals continue to service offshore casino sites with no legal issues. Serbia is taking impressive steps to legalise and regulate the online gambling industry and seems to be on the right track, with the potential for a thriving online casino industry to operate in the future. 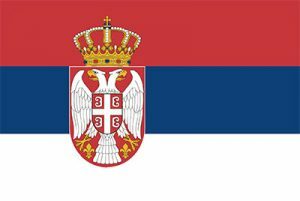 Despite the Serbian governments attempt to block offshore casino providers from servicing the Serbian market, many of the world’s leading online casino sites continue to offer their gambling platforms to Serbian players. As Serbia makes further moves to strictly regulate online gambling within the country, it is expected that some foreign offshore casinos will seek licensing within Serbia in the future, but for now Serbian residents can play for real money at any of the reputable offshore casino sites recommended in our table above without being prosecuted for placing bets. These reputable casinos are all licensed and certified within leading gambling jurisdictions, adhering to strict rules and regulations to ensure all gambling related activities are legal, above board and have responsible gambling practices in place to protect players. Be aware that there is a blacklist of foreign casino sites which have been blocked by Serbian ISPs as part of a government order under the new online gambling legislations, so your chosen online casino may not be accessible. Many Serbian players are choosing to use VPNs (virtual private networks) to get around these blocks, as there is nothing in the laws to prosecute them for doing so. The Serbian Dinar (RSD) is not widely accepted at trusted offshore casino sites, which just means players may be subject to currency conversion fees as funds are exchanged into a more commonly accepted currency like USD, GBP, EUR or AUD. In an attempt to block citizens from playing at offshore casino sites, the Serbian government made a request for Serbian financial institutions to stop processing payments to any unlicensed gambling sites, but the banks refused to comply. This means Serbian players still have access to a range of safe deposit options, with payment methods varying from venue to venue but typically including Visa, MasterCard, Neteller, Skrill, Paysafecard, ecoPayz, Entropay and direct bank transfers. You can read more about how to make a real money deposit to an online casino here. For a full list of the reputable online casino sites accepting players from Serbia, refer to our casino table at the top of this page which has been geo-targeted to recognise your location and only recommend safe casino sites that accept players from your country. Sign up using our links to get access to some fantastic new player welcome bonuses and start playing your favourite games online for the chance to win real money.